At Prairie, we seek to promote dignity, worth, and justice for people worldwide by supporting individual and collective social action. We act in the world to further social and environmental justice. These commitments manifest in multiple activities in which individual Prairie members volunteer as well as in congregation-wide activities. Many of these activities are coordinated by the Social Action Committee, while others emerge from the RE program or from the congregation at large. Much of our justice work centers around homelessness. 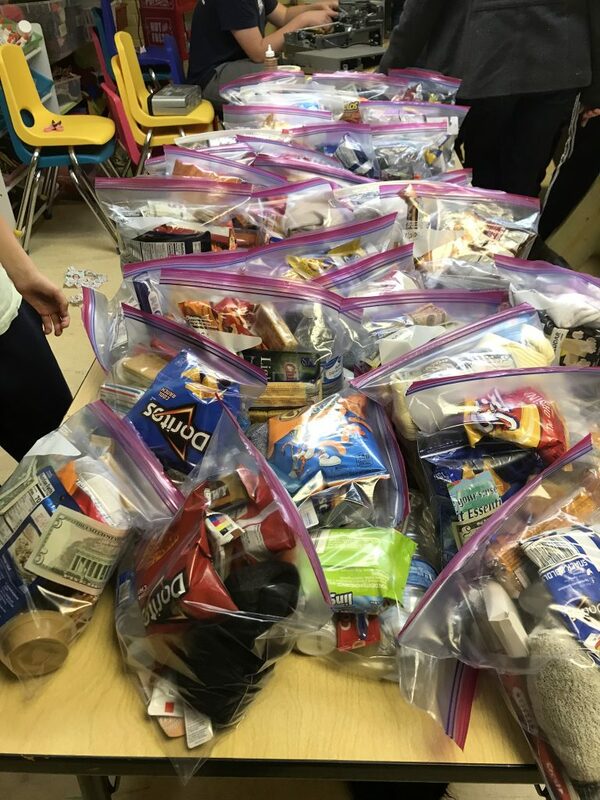 Recently Prairie RE kids collected from the congregation small non-perishable food items, socks, and other things that might help homeless people in our community and then gathered to fill kits we donated to individuals and shelters. Prairie has been volunteering at Porchlight’s drop-in shelter for men for over 25 years, and in partnership with James Reeb UU Society for 15 years. 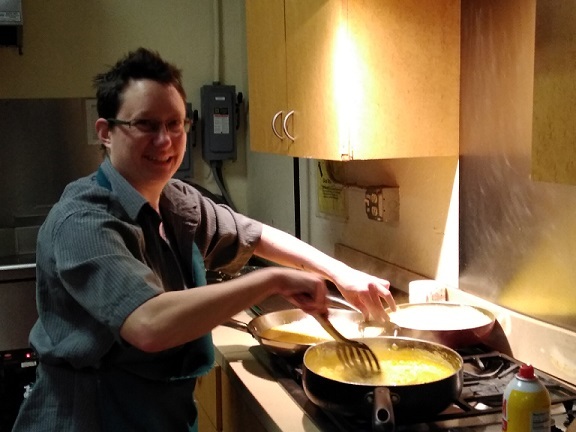 Once a month, volunteers from both societies cook up a hearty breakfast for the guys at the Men’s Drop-In Shelter, which is located in the basement of Grace Episcopal Church on the Capital Square. Our shift is always the Saturday immediately after the first Friday of the month and lasts from 5 a.m to about 7 a.m. First-time volunteers are welcome and encouraged! The breakfast tasks are easy and others will be happy to show you what to do. Children can also volunteer, if responsible and accompanied by an adult. If you wish to help out but early morning isn’t feasible, you can volunteer to be a shopper, who buys and delivers the groceries to the shelter the day before. For more information or to volunteer, please contact Paula Pachciarz (608.206.1770). Prairie supports justice for LGBTQ individuals and often sends contingents to march in Madison’s annual Pride parade. Each fiscal quarter, we select a different local organization with which to share a portion of the offerings we collect during Sunday Services. We will share our offertory collection this quarter with The Catalyst Project, a nonprofit organization that helps up to four homeless mothers with children by providing housing with live-in residents who mentor, offer problems solving and other therapeutic interventions as each family unit needs.